H2O Adventure Show www.ScubaH20Show.com is offering an amazing deal for each paid admission for the April 1 & 2 event. 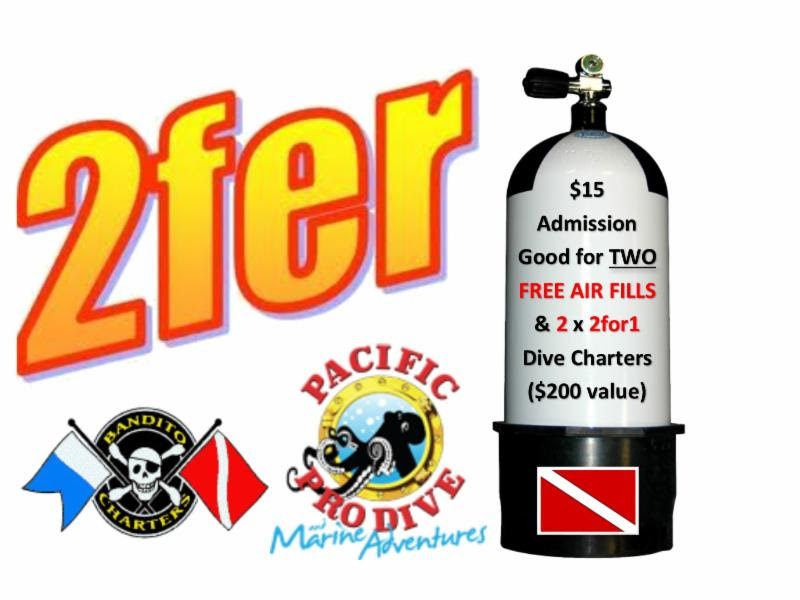 Each attendee will get a coupon good for Two Free Air fills at local participating dive stores and 2 (two for one coupons) for a local dive charter. In an effort to reward the attendees with value in return for attendance the SCUBA & H2O Adventure Show www.ScubaH20Show.com is offering an amazing deal for each paid admission for the April 1 & 2 event. 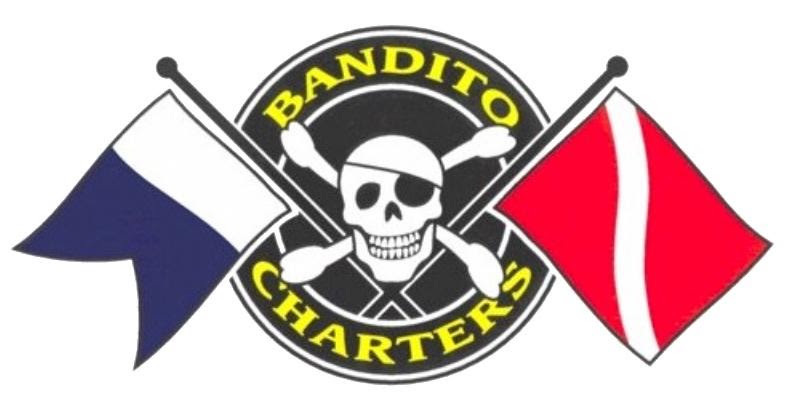 Each attendee will get a coupon good for Two Free Air fills at local participating dive stores (link here) and 2 (two for one coupons) for a local dive charter. The dive charters are good for diving in the Puget Sound with Bandito Charters, Puget Sound's largest and most experienced dive charter ($90 value) as well as diving in British Columbia with Pacific Pro Marine Adventures, BC's largest fleet of dive boats with two different locations including Campbell River and Courtenay. The coupon for Pacific Pro is good at either location ($85 value). The SCUBA & H2O ADVENTURE SHOW will be held in Tacoma, Washington on March 31 - April 2, 2017 at the Greater Tacoma Convention & Trade Center. The former Dive and Travel Expo, founded in Tacoma in 2004, has expanded to embrace all watersports, while continuing to embrace its core audience of SCUBA divers and their families. According to event Executive Producer, Rick Stratton, Tacoma was chosen for the show because it has many hidden strengths for the dive and watersports community. 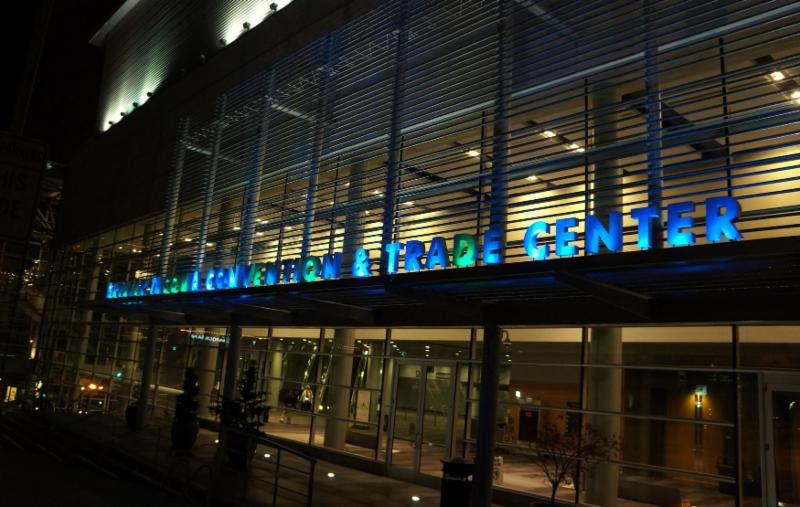 Located approximately 40 minutes south of Seattle, Tacoma is centrally located in the Puget Sound to draw both Oregon and British Columbia business. Tacoma is investing in the dive and maritime communities. The Flashback Diving Museum located the Waterfront Maritime Museum continues to grow. 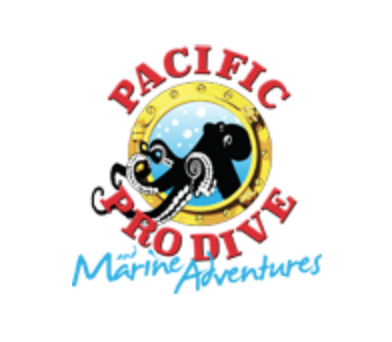 They will make a great partner with the show to promote scuba diving, diving history and the City of Tacoma. The Thea Foss Waterway is a Maritime Museum located in Tacoma, along with the Discovery Wharf Children's Activity Area is a part of the Foss Waterway Seaport, a 501c3 non-profit organization founded in 1996 and dedicated to creating "a permanent education and activity venue on the Tacoma waterfront". With well-known dive sites like Les Davis Marine Park, Point Defiance Zoo & Aquarium, Tacoma Metro Parks, and great hotels in the downtown core with convenient light rail downtown - Tacoma is a great fit for all. Call 360.240.1874 or email us! Want to Exhibit? There is still time! Contact us Directly and Reserve your BOOTH!